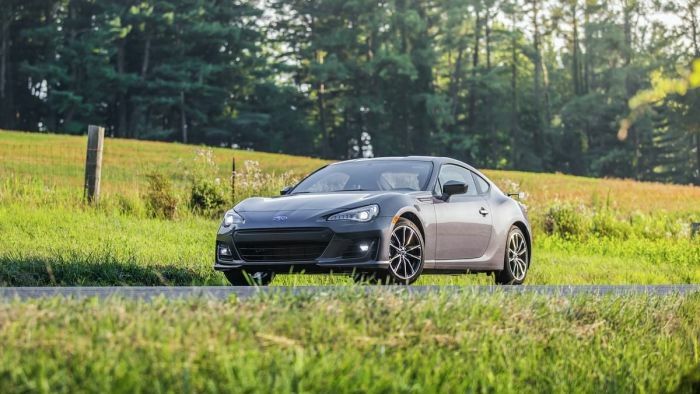 There are reports coming from Japanese Nostalgic Car saying the BRZ and Toyota 86 sports coupes are dead and there won’t be a second-generation model. The report says it’s due to a new 197-horsepower version of the new Supra coming to Japan, and if it’s produced, Toyota won’t need the 86. Are they true, or just rumors? Torque News reported here back in November, that reports from Automotive News said Toyota would likely drop the 86 sports coupe because of lagging sales and would pare down their cars as the industry makes a shift to SUVs, trucks, and crossovers. Both 86 and BRZ have seen slow sales the past few years and it may make sense for both automakers to part ways. The Subaru BRZ / Toyota 86 twins need a complete remodel, and the two Japanese automakers have been squabbling on how to evolve the car. Even though there have been rumors of a more powerful next-generation BRZ/86, it's doubtful it will be produced. The AN report said the Toyota 86 has a 0 percent chance of survival. If that’s true, will Subaru also drop the BRZ sports coupe from their popular all-wheel-drive lineup? It looks like the 86 will be dropped from Toyota’s lineup, but the Subaru BRZ is still hanging on by a slim margin and could survive if Subaru and Toyota part ways. Neither automaker has made an official comment. Stay tuned.